Capilia by Caralyn’s participated in the International Women’s . Our team went down to the Ottawa Convention Centre and met hundreds of fantastic women. We offered free mini scalp analysis’s ; the women soon discovered the many ailments of the scalp that contribute to hair loss. We also showcased different wigs and sold Moroccanoil products at unbeatable prices !!! 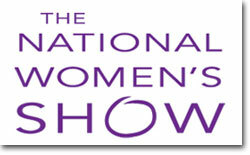 We already look forward to the 2013 Women’s Show!